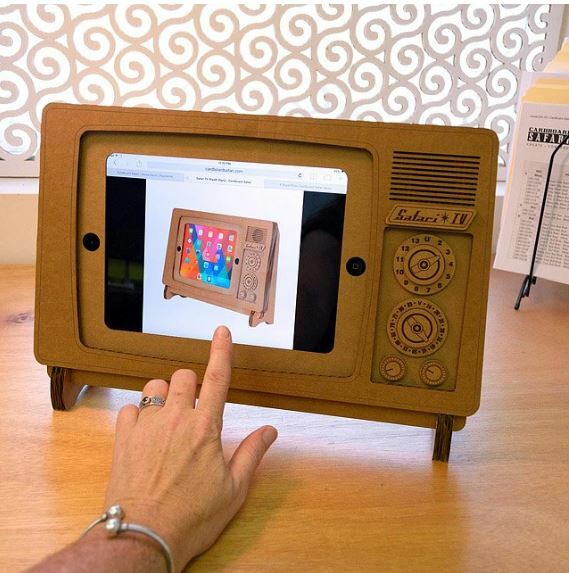 This cool cardboard retro TV style iphone stand is fun and cool. A great gift idea for someone who is difficult to buy for because it is very unique. 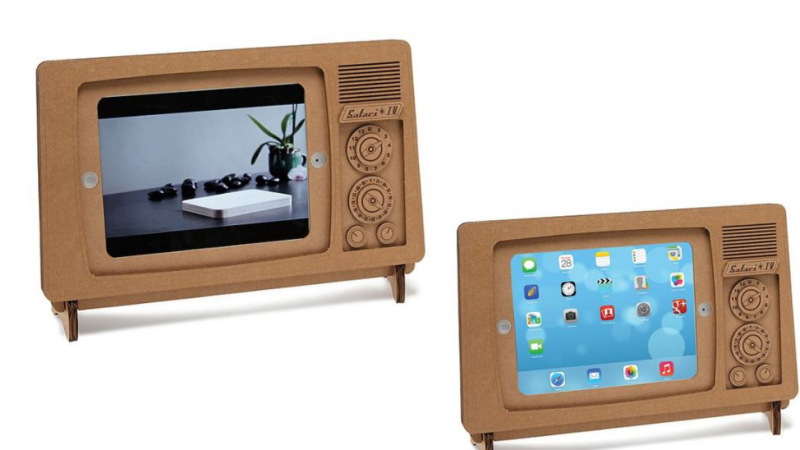 Anyone who like to watch television, movies or youtube videos on their device is sure to think this is a fun stand. 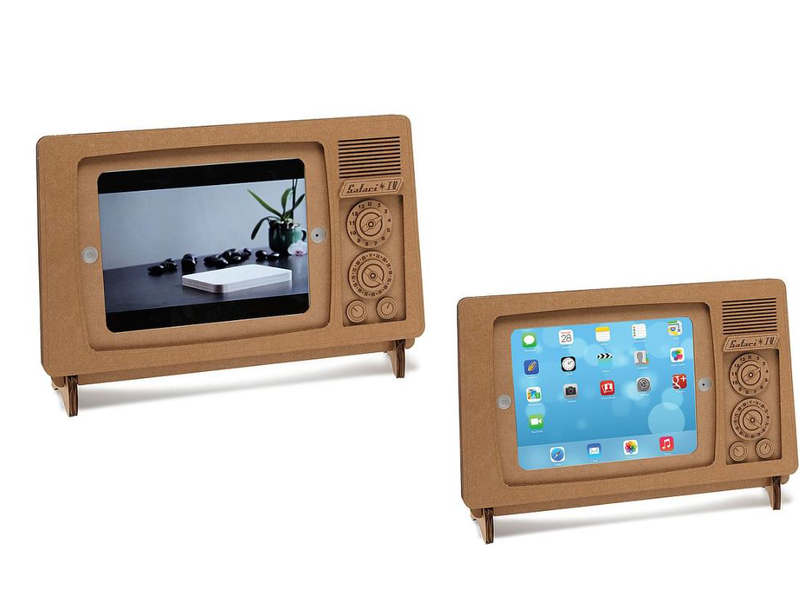 Enjoy the nostalgia while watching TV or a movie on your modern device. Anyone who grew up before the invention of smartphones will enjoy these because it is such a neat way to remember past times. We often watch television shows and movies alone on devices these days. In days gone by it was common for families to watch television together every night. This stand is a reminder of those good old days. It is common now for family members to watch television, movies or youtube seperately. This is because everyone has different tastes and it wasn't possible to do that in the past when the TV was probably the only viewing device in the home. The stand is made of recycled cardboard. Recycling is very important so you will be glad to know that recycled materials have been used to create this.This item was created by a designer named Luis Rodrigalvarez. It was made in the USA in Charlottesville, Virginia. The stand measures 14.75 inches long, 10.25 inches wide and 3.25 inches deep. It can fit an iphone or an ipad but be aware because this is not a protective case for your device it is for display purposes.